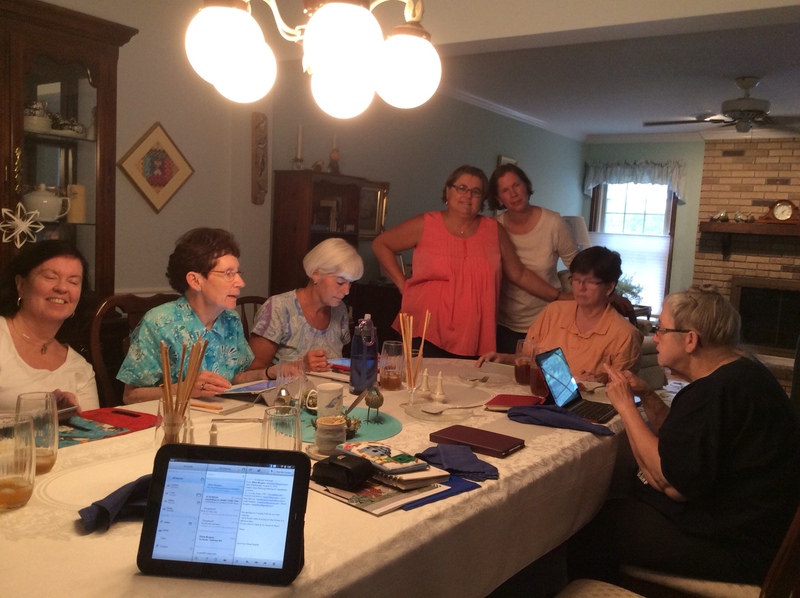 Prep for seminar | NJNA is Blogging! Sue C was kind enough to host a luncheon for those of us who will be attending the seminar in Chicago. Those who will be attending Sue made a wonderful lunch of Cobb Salad, biscuits, and cantaloupe followed by an outstanding peach cobbler with vanilla ice cream. The attendees for the lunch, all of whom will be attending seminar, are Sue C, Jill W, Dee, Carol, Susan H, Rosie, Heidi, and Diane. We're all getting excited!